Got those income inequality blues, dude. You have no doubt watched, or at least heard of, the TED Talk videos. TED is a nonprofit, “devoted to Ideas Worth Spreading” and the TED.com website has compiled more than 900 short lectures — stimulating, provocative stuff from some creative, often quite brilliant, people. Recently, however, the TEDnics in charge sparked considerable controversy, and some complaints of censorship, by refusing to post a talk by venture capitalist Nick Hanauer. So what got Hanuer’s talk banned? Why it seems this very wealthy and hugely successful venture capitalist questioned what in 1 Per Cent circles is the holiest of holies — the proposition that, “If taxes on the rich go up, job creation will go down.” Hanuer doesn’t buy it. And he’s got charts and data to back his apostasy up. Have you noticed those Watchdog websites? Since its launch late last year, many in New Mexico have noted that the reporting on the New Mexico Watchdog is thin and the motives behind the “scoops” it peddles to the mainstream media have seemed…well…partisan at best. But it hasn’t stopped the site’s main purveyor, Jim Scarantino, from boasting that he’s the only one with the “guts, determination and courage” to pull off his particular brand of investigation. Yes, conservative investigative websites are now a trend – one that early on, some government watchdogs had hoped could be a way to keep investigative journalism alive in the face of a declining newspaper industry and the years of professional reporting experience that was disappearing with it. However, a story in this month’s issue of The Washington Monthly concludes that perhaps the Watchdog clones and a number of other sites just like them could begin to perform that important function…if only the “investigating” on them was up to actual journalistic standards. McGann’s lengthy examination of the conservative investigative trend contains an embarrassing deconstruction of the “phantom Congressional district” story so widely heralded late last year by the New Mexico Watchdog. Is the Tea Party finally waking up to the realization that they have a public relations problem when it comes to, you know, brown people? It’s interesting, because lately I’ve been detecting some sensitivity on the part of Jim Scarantino, one of the biggest local Tea Party boosters around. You can catch Jim glowingly singing the praises of the Tea Party on TV and radio and blogging about it at a number of sites. The other day, he posted the most fascinating picture on the New Mexico Liberty blog, which sponsors the local tea party and many of its events. This is what the picture showed: It was a black guy at a Tea Party. You heard me right. 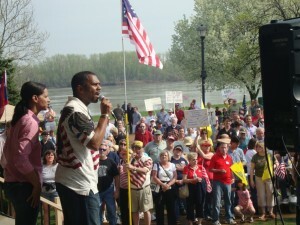 An actual black guy at a tea party in St. Louis. Speaking, no less. And standing right behind him – another person of undetermined brownness. With a big crowd of white folks staring up at the both of them. 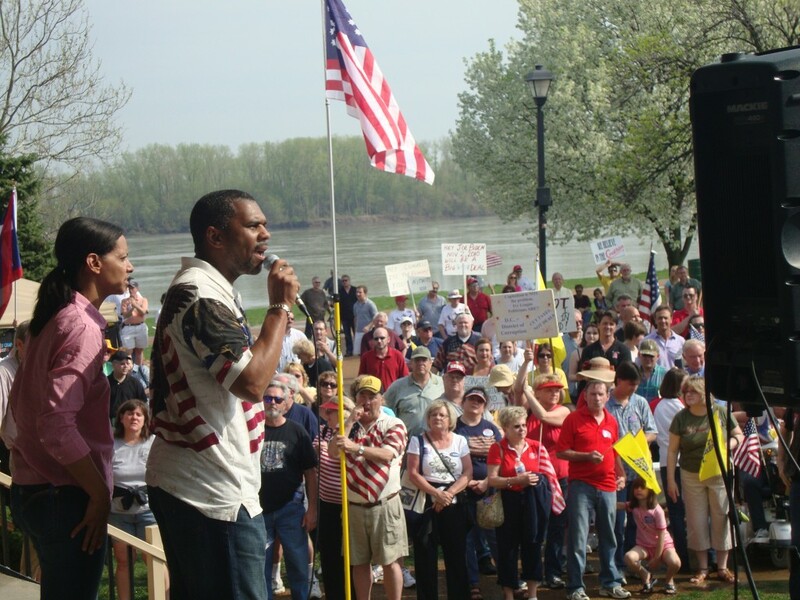 And that, my friends, is apparently all we should need – one photo of a black guy at a Tea Party somewhere as proof positive that the Tea Party movement doesn’t have a racist bone in its body. Sadly, since I’ve been a black person my whole life, I know this game very well. It’s called “Spot the Black Person” – and tea partiers have been doing a lot of it lately. And I understand why. Headlines like this and this can’t be good. Not to mention this collection of wretched posters. Although to be fair, a couple of these pictures are not actually racist – just incredibly offensive. We trust you’ll be able to tell the difference. This flood of bad publicity is drowning the Tea Party movement as it celebrates its first birthday. And I think all the bad publicity is starting to make some of the people in the movement nervous. Why do I say that? Because they’ve been whining a lot lately about how the racist incidents and kooky statements from some of their followers have overshadowed what they really stand for. And they are doing damage control. Check out this email from the Columbus, Ohio Tea Party, which features the admonition: “Actually, what your signs say matter a great deal.” (That’s in response to the many Tea Partiers who like to say, “It doesn’t matter what my sign says, you’re going to call me a racist anyway.”) Serious rehabilitation going on there. But really, who are the tea partiers, and what do they stand for? A poll came out today that helped the rest of us delinate their demographics. According to this NYT/CBS poll, they are largely white, Republican, older and male. Fair enough. The poll also shows they are more likely to think its okay to think violent action against the government is justified. Wow. Yep, the Tea Party is in the midst of a public relations crisis over its identity…and I don’t envy it. And Jim, I’m sorry – sending out pictures of lone black people at Tea Party events is not going help. PS. Check out this hilarious blog from someone calling themselves Tea Party New Mexico. We found this blog by cruising the official NM Tea Party Patriot directory – but this guy or gal is clearly a ringer. FIRST OF ALL FRED, THANK YOU FOR COMING TO MY WEBSITE, I DO APPRECIATE YOUR TIME, AND PLEASE TELL ALL YOUR FRIENDS IF ANY OF THEM ARE MORE PATRIOTIC THAN YOU ARE THAT YOU THINK IT’S A REAL GOOD WEBSITE THEY OUGHT TO CHECK OUT. SECONDLY, THE TEA PARTY IS NOT A RACIST MOVEMENT. IF YOU HAD READ MY SITE WELL, INSTEAD OF JUST DISMISSING IT WITHOUT EVEN READING IT, YOU WOULD HAVE SEEN THAT AT THE MOST RECENT TEA PARTY MEET AND GREET MEETING HERE IN ALBUQUERQUE, WE WATCHED A VIDEO OF GLEN BECK FANS AND ONE OF THEM WAS BLACK AND HE GAVE A GOOD LITTLE SERMON ABOUT FREEDOM AND LIBERTY. THE TEA PARTY IS NOT RACIST, AND THAT IS JUST A FACT. NICE TRY, COMRADE. I was going to write today about how it turns out Obama probably isn’t an android or robot or altered guy or whatever (though he is a Kenyan and a Muslim and a socialist and maybe the Antichrist), because my wife heard from a reliable conservative source that that guy James David Manning wasn’t right about that. I was GOING to, but then when I went to type about it, I thought of some things about this once-great nation of ours, the United States of America…and Obama, and the Democrats, and that she-wolf Pelosi, and that traitor to our race Bart Stupak, and my daddy and his drinking, and how the Tea Party is working so hard to fight all that, and I just started crying and crying and I still can’t stop. It’s taken me over an hour just to type these words through the tears and the shaking and, anyway, I guess I won’t be able to do a full write-up today. Hopefully, tomorrow I will be feeling better. UPDATE: I finally stopped. I’m okay now. Read the rest …it’s a postively Swiftian takedown of tea partiers. (We thought he was real for quite some time. And then we laughed and laughed.) Whoever this is – he or she gets the joke. 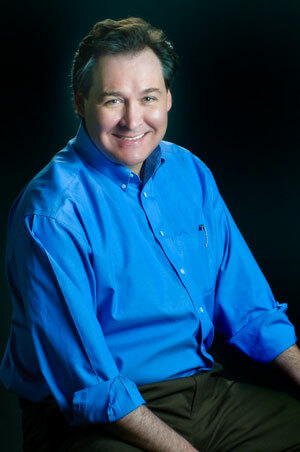 Jim Villanucci, KKOB-AM’s afternoon talk show host, outdid himself yesterday. His topic for the show was the recent Harris Poll that says 24% of Republicans believe that President Obama may be the Antichrist. No, what was interesting was the listener reaction Villanucci unleashed. It was truly amazing – in the way that disconcerting and deeply disturbing can be amazing. It was so over the top, even by KKOB standards, that the jaded talk jock himself seemed a bit shocked. Based on the crush of callers who declared they would have answered the Obama=Antichrist question in the affirmative, it does seem that a good 85% of KKOB’s listener demographic would qualify as sufferers of ODS (Obama Derangement Syndrome). Any researcher hunting for a good focus group sample that is representative of wingnut nation should look no further. Here in the Duke City, KKOB is their magnet. It’s home base for birthers and the whole healthcare-reform-is Armageddon demo. Of course, that’s why KKOB devotes most of its schedule to filling New Mexico’s airwaves with political venom and incitement. After all, it’s the self-proclaimed “talk monster”, proudly featuring a lineup of the superstars of hate radio — Rush, Sean, Bill Cunningham and Michael Savage of “die you gay pig” infamy. The funny thing is that from time to time Villanucci slips. 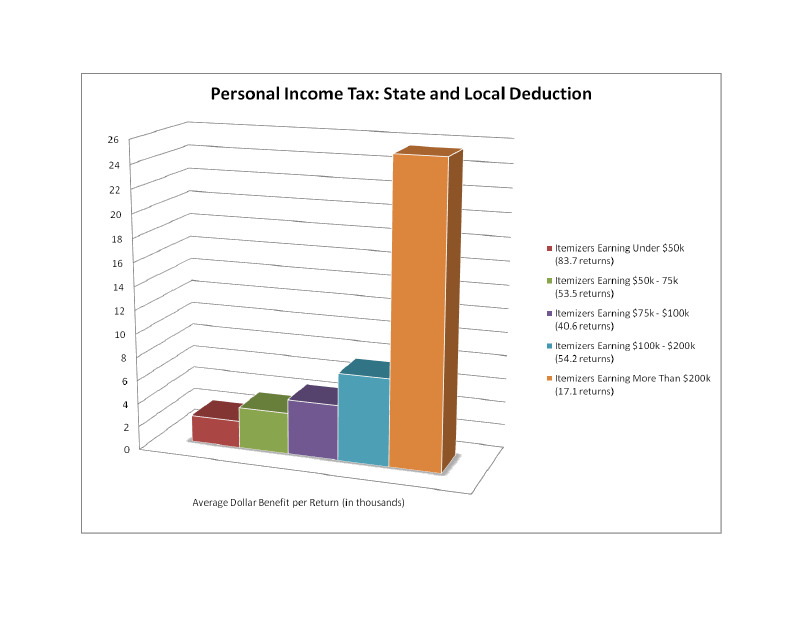 The phrase “a tax on a tax” makes no sense in reference to this measure. What the Legislature did was remove a deduction that never should have been there in the first place. New Mexico is only one of only a handful of states that currently allows this deduction, probably because most other states have figured out that allowing it doesn’t make any reasonable fiscal sense. Indeed, the only real effect of allowing the deduction has been to reduce state tax liabilities for wealthy individuals — that is, those most likely to itemize on their state tax forms. According to the Taxation and Revenue Department’s analysis about 70% of the increased liability would come from households with an ADJUSTED gross income of $100,000 or more. Only 4% would come from households making less than $50,000. Therefore, the Journal’s claim that removing this deduction would raise taxes “$193 on average per filer” is misleading at best. A look at the facts serves to underscore the progressive nature of this policy. In fact, it is the only revenue enhancement in the tax package that actually makes the rich pay their fair share. It is clear that whomever wrote the editorial didn’t do their homework on the actual policy but instead merely inserted some boilerplate talking points courtesy of corporate lobbyists who opposed the measure during the legislative session. I’ve been remiss in not writing a post wrapping up my trip last week to Netroots Nation in Pittsburgh. It was the fourth annual conference organized by folks from the blog Daily Kos and it was – as it was when I attended last year – an intellectually-stimulating summit of the nation’s most influential and independent progressive bloggers. For me the most memorable moment came during the event’s first night, when former President Bill Clinton gave the opening keynote to the gathering about 1,500 mostly appreciative bloggers. You’ve probably read about how Clinton got heckled mid-speech by a gay rights activist regarding Clinton’s role in the military’s much-maligned ‘don’t ask, don’t tell” policy. Watching that testy drama unfold live in front of me was certainly fascinating. But I think the most moving part of the speech came when Clinton thanked bloggers at Netroots Nation for “dramatically elevating the level of our public discourse” and increasing the base level of knowledge among people who read what we write. If you enjoy the commentary on Clearly New Mexico, please visit our brand new media criticism site, ABQJournalWatch.com, for informed critiques of New Mexico’s largest daily newspaper. A Case of Journalistic Pay to Play? Plans for a curious joint advertising/editorial venture between the Albuquerque Journal and the Albuquerque Chamber of Commerce are raising questions about the paper’s ability to cover the business community objectively. In addition to causing consternation in the business community, the alliance also raises questions about whether it violates basic journalistic principles – specifically, whether it compromises the sacred separation that is supposed to exist between an objective newspaper’s editorial content and its advertising. Here are the details: On July 13, the chamber will publish a quarterly report called “Business Plan” in the “A” section of the Albuquerque Journal. In addition, beginning on July 27, the chamber will run a full-page “Business Plan” report every other week in the Journal’s Business Outlook. Rates for the special section ads were not listed. It is also not clear whether the Journal or the Chamber of Commerce will write and edit content for the sections. In 1999, a similar advertising/special section arrangement between the Los Angeles Times and the Staples Center caused a titanic uproar in the journalism world. More than 300 Los Angeles Times employees – embarrassed at their editors’ breach of journalism ethics – signed a petition calling for an internal investigation into the arrangement. The fallout from the incident and the widespread condemnation from other journalists later caused Times Mirror CEO Mark Willes to resign in disgrace. According to the letter, chamber members who place ads in the Journal sections will become members of a new group called the “Chairman’s Table,” which the chamber says will “provide prominent recognition of companies which provide annual financial resources leading to the continued success” of the chamber. The coziness of the arrangement between the state’s largest paper and the city’s biggest business group is angering some chamber members, who say it seems to give new meaning to the concept of pay to play. One business owner who chooses to remain anonymous said the chamber told her to “pick up her membership check” when she raised objections to buying a Journal ad. Other chamber members are wondering: Does this mean all chamber members who don’t agree to buy Journal ads will be asked to leave? Will chamber members be pressured to advertise in the special sections?